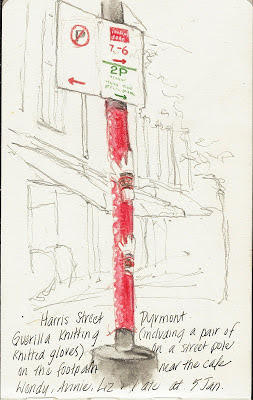 Yesterday there was some "Guerilla Knitting" around a street sign in Harris Street, Pyrmont. I hadn't noticed it at first, and I may have walked past it many times. 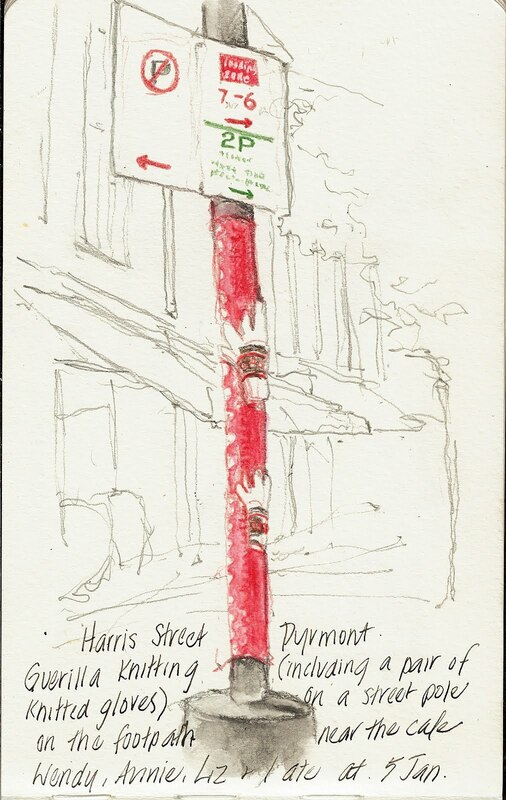 A Red knitted pole and two gloves knitted into it ! The guerilla knitting art appears on City Council Streetscape objects overnight . Technically they are illegal, but the councils leave them up . 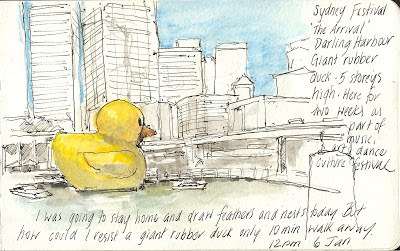 Another piece of art to make me smile (and everyone else) is the 5 storey high inflatable duck that sailed into Darling Harbour yesterday for two weeks. 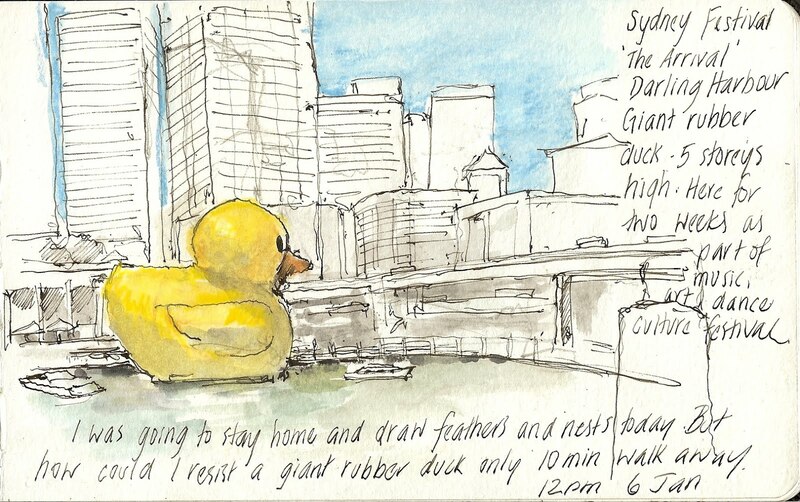 It is part of the Sydney Festival of arts, culture, music etc. 60 000 people watched it sail (paddle) in yesterday. I went today when it was quieter. I was going to stay home and draw feathers and nests today, but how could I when this amazing sight was only 10 minutes walk away !